Last night when I opened my PC, I noticed that several of the files and important data were encrypted by .ONYX file virus ransomware. I was unable to access most of the files related to images, music, videos, MS Excel, MS Word and so on. Every time when I tried to access, a ransom note appeared on the screen asking me to pay certain money. I don’t know what to do now? This is a panic situation for me. Please help. The above mentioned scenario is a very common situation of .ONYX file virus ransomware attack. This malware is very active in Georgia and slowly it is spreading its presence in other European countries and USA as well. Its aim is to make the targeted data inaccessible for the victims. It may also lead to data theft and robbery. As we all are very dependent on computer, it is very painful to lose important files. This means that you will lose months of your work, picture that had your life-time memory and so on. In order to make the situation worse, the cyber-criminals changes the desktop wallpaper with the ransom note of .ONYX file virus ransomware and asks to pay 100 US dollar for getting the files. Actually, it promises to provide the decryption key that is claimed to unlock the encrypted files and make it accessible again. A ransom note is provided in a text file that contains all the details like email IDs, Bitcoin wallet address and other necessary information. The wallpaper replaced by .ONYX file virus ransomware contains “Spirited Away” movie character “No Face”. It is not advised to pay any money to cyber-criminal because this is a spam. You will not get original decrytption key even after the money is paid. Many of victims have reported that there is no Bitcoin Wallet address in the ransom note received by them. Well if that is the case with you as well, then again, you don’t have to worry. You should be primarily focusing on removing .ONYX file virus ransomware from you work-station. As mentioned earlier, one of its intension is to cheat your personal data. Hence it may drop key-loggers and scripts to record your personal data to gain financial benefits. Paying the ransom money to cyber-criminals to get the decryption key is not solution. As mentioned earlier, it is a spam. You should first scan the PC with a powerful anti-malware tool that has strong scanning algorithm and programming logics. Once the malware is removed, you can begin the data recovery process. You can choose any of the three process as mentioned below. .robinhood Ransomware also known as “Proyecto X” is a hidden tear data-encrypting malware infection. It has been aggressively circulated by group of unknown cyber-criminals and has affected thousands of Windows based PC in very quick time. As per reports, it is distributed through spam email campaigns and phishing messages. Such emails are sent as if they are sent by some reputed organization or companies and are offering some exciting services. They contain certain links or files that triggers .robinhood Ransomware in the work-station. Sometime, the phishing emails contains links that redirects to duplicate website that has self-signed or stolen certificate. On the other hand, there are many payloads carriers including bundlers and installer that could drop this severe malware infection in the targeted PC. The cyber-criminals also uses unsafe peer-to-peer file sharing networks such as torrents to circulate this malware in the targeted work-station. Our researches show that cyber-criminals are also taking help of browser-hijackers that could be in the form of browser plug-ins or add-ons that are compatible with all the popular browsers. These plugins have fake user’s reviews and developer details. On installing such plug-ins, the severe malware like .robinhood Ransomware also gets installed. Once it settles down, it starts gathering data modules in order to identity the users, their location and details of the infected machine. This leads to data and identity theft and financial abuse in long run. It also collects data related to security settings so that it could bypass them whenever possible. It also modifies the entries and strings already present in the Windows Registries. This will lead to multiple issues such as slow performance, error messages while executing any commands, unexpected errors, data loss and so on. The changes in the boot settings allow this malware get active as soon as the PC is booted. When all the steps and sequences mentioned above get executed successfully, the actual data encryption process begins. It starts searching for the files and data that it could encrypt. They are generally images, videos, backups, music, MS Office docs, archives as well as backup files. The encrypted files are appended with .robinhood extension to them. They become totally inaccessible when you try to access them. A ransom note appears on the screen that demands to pay certain money as ransom to get the decryption key. In many cases, it also displays a lock screen that creates hurdles in the normal interaction of the PC. They demands to pay ransom money to get the decryption key. You should not pay money to them in any situation. It will be waste of time and money because the cyber-criminals don’t provides any decryption key even after receiving the payment. This is a spam. It also deletes “Shadow Volume Copies” so that backup created by the Windows Operating System also gets deleted. It is strongly recommended that you scan the PC with a powerful anti-malware tool and get rid of .robinhood Ransomware from your work-station immediately. 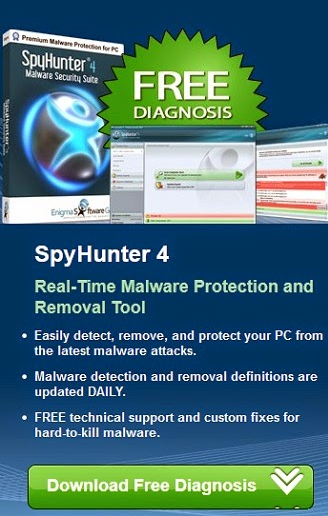 Once the PC gets free from malware, you can use backup files or data recovery software to recover the encrypted files. .tater ransomware is a new member of the Garrant Decrypt Ransomware family. It is designed to lock down the target System and encrypt stored files. It is spread by the cyber-criminal by using the most popular distribution tactics such as phishing email messages, visiting malicious sites. Other techniques that criminal often use the creation of pay load carriers such as documents and Software installation, peer to peer sharing files, downloading plug-in, add-on etc. Once this Ransomware activated into the system, then it will start to modify the internal configuration of the target System like as System setting, Desktop setting, homepage setting and other important setting etc. .tater ransomware will deeply scan entire hard disk to encrypt all kind of System files like as Word, Excel, Power-point, Images, Pictures, Audios, Videos, Games, Apps and so on. It commonly uses strong cryptographic algorithm AES as well as add ”.tater” extension at the end of every files. So that users wouldn’t open any files. While they try to open any file then it demands ransom money. Once encrypted all kind of System files, .tater ransomware will send ransom note on the System screen in the form of html or text. This message states that you’re all data and file has been encrypted by strong encryption key which stored on the remote server. To restore all data and file you must need to purchase decryption key which cost is about $500. You have to pay this amount in the form of bit coins within 48 hrs otherwise your all data and file will delete permanently from your System. Do not try to recover your files on your own or with someone else, because after the intervention you can remain without your data forever. You have 48 hours to contact us, otherwise you will be left without access to the files forever. Only we can decrypt all your data! Security expert warning, Users should not pay demand ransom money to the hacker in order to decrypt all files, because most of the victim reported that cyber-criminal didn’t decrypt file after received ransom money. If you will pay money to the hacker there are highly possibilities that you can lose your files and money as well. It will also ask your personal and confidential information including bank account detail, debit card details etc at the time of transaction money. We know that your all data and files are very crucial for you but the paying money to the hacker is so risky. In this situation you are highly suggested to remove .tater ransomware firstly and completely from System. Here is given below automatic removal tool that help you to delete this nasty virus instantly from your System. After this process you can easily recover your files by using back-up file or automatic removal tool. Is your important personal files has been encrypted by .lock files virus? Do you see ransom note whenever you try to access folders or files such as images, videos, MS Office docs and so on? Are you thinking to pay ransom money to cyber-criminals to get the decryption key? If yes then first read this blog carefully. The aim of this webpage is to provide complete information about ransomware including its removal method and possible ways to recover the locked files. The ransomware like .lock files virus are spreading very rapidly and they are specifically targeting Windows based PC. They make the targeted files totally unusable and shows error messages when you try to access them. The cyber-criminals who are behind all these issues only have one aim that is to cheat you by own way or the other. The files get encrypted and PC becomes a hostage. Heavy ransom money is demanded by the cyber-criminals in order to get the decryption key. The worst part is that cyber-criminals totally ignore the victim once they receive the payment. The novice victims often get feared in this kind of situation and they have no idea what to do next. The cyber-criminals take advantage of victims fear and present saving grace deal which is a spam in reality. You must remember that giving money to the cyber-criminals is not the permanent solution. You may not get anything in return. And the money you pay will further be used for developing other severe malware infection future. They will harass you again by encrypting other files and programs. You have to be very careful while using your PC. Be careful regarding your Online browsing pattern and activities, downloaded software etc. This will help you to spot the malware infection before it does some serious damage. You must not download suspicious files and programs especially from torrents and peer-to-peer file sharing websites. The cyber-criminals use a lot of tricks including social engineering in order to convince you that their files and software are helpful and safe to use. Sometimes it get already too late because your PC already gets infected. In such case, you will notice some easy symptoms such as new extension gets added in every encrypted file. The task manager starts showing very high resource consumption. If your files have already been encrypted then you should first try to remove the ransomware from your PC. For removing the files and payloads from the PC, scan the work-station with a powerful anti-malware tool that has strong scanning algorithm and programming logics. Once your PC becomes free from .lock files virus, you can take certain steps to recover the files. The very first thing is to check the “Volume Shadow Copies” is encrypted or not. If you are lucky to have backup files of encrypted data in some external storage device then that will be the ideal situation for data recovery. If not then the last way is to use a powerful third-party data recovery software. SadComputer Ransomware is yet another perilous data-encrypting malware that encrypt the targeted files and later blackmail the users to pay ransom for accessing the locked files. SadComputer Ransomware deletes the files that are larger in size because this ransomware has limited memory allocation for encrypted files. It adds .bad extension as appendix to every targeted file. For example, myphoto.jpp will get renamed as myphoto.jpg.bad. Its ransom note is stored in a text files named as sadcomputer_note.txt. According to the ransom note, the data has been encrypted with a very powerful encryption algorithm. There are separate decryption key for each victim and hence the data recovery is only possible if each victims pay the ransom money separately. The cyber-criminals “Bitcoin wallet” address is provided. This information about the cyber-criminals or their contacts is not provided. This basically means that SadComputer Ransomware is not fully ready. Some experts claim that this ransomware is decryptable. From you side, you must not pay any money to cyber-criminals as ransom. In most cases, the cyber-criminals totally ignore the victims after receiving the money. Both money and time gets wasted as you get nothing in return. SadComputer Ransomware is very similar to other data encrypting malware launched in the past. Many of the ransomware has been decrypted with free decryption tool. Since this ransomware is still in its development phase hence you should wait for a while. It is true that most of the ransomware uses RSA and AES encryption algorithm and hence they cannot be accessed without the unique decryption keys. The hidden keys are stored the remote server that belongs to cyber-criminals. Restoring the encrypted files is only possible if there are loopholes or bugs in the ransomware development. The best situation is that you have the backup files in external storage devices such as “Cloud storage”, flash drives, external hard-drive etc. The locally stored backup files will not be helpful because they also gets encrypted along with the regular data. How My PC Got Infected with SadComputer Ransomware? The cyber-criminals have a lot of option and ways to proliferate SadComputer Ransomware in the marked PC. The most common among them is spam email campaign. Such emails are presented as if they contain some important attachment related to invoice, tax receipt etc. As soon you open the attachment, the harmful files also get downloaded in the backdoor. Unsafe peer-to-peer file sharing networks, fake software updates, visiting unsafe websites, using free hosting etc. also leads to malware attacks. You must not use any kind of cracked software. The cracked software are often used to circulate malware infection. The symptoms and behavior of SadComputer Ransomware has already been mentioned above. It is important to note that you must not pay ransom money in any situation. If data is important then you can use data recovery tool to recover them. However, before using any data recovery method, be sure that all the payloads and files associated with SadComputer Ransomware has been removed from the PC. My all personal and System files has been locked and change by “.french101” extension. I tried many times to retrieve my files but failed every time. It demands ransom money while I try to open any file. Please suggest me how to recover my files. .french101 file virus is a crypto locker file virus that comes from Ransomware family. The main aim of this virus is locked down the target System and encrypts all stored files. It is developed by the team of remote hacker with the sole motive to extort huge ransom money by phishing innocent users. It is able to lock down all kind of Windows System like as Windows XP, Windows7, Windows8, Windows8.1 and the most latest version Windows 10. It deeply scans entire hard disk in order to encrypt all types of system files like as Word, Excel, power-point, images, pictures, audio, videos, games, apps and so on. It commonly uses AES and RSA cryptographic algorithm as well as add “.french101” extension at the end of every files and makes them totally inaccessible. While you will try to open any file then the ransom note appears on the System screen in the form of html or text which demands ransom money and get instruction to retrieve files. This message states that you’re all data and file has been locked down by the strong encryption key. In order to retrieve all files you must need to contact cyber-criminal via provided email address [email protected], [email protected], [email protected] Once contact it suggest you to purchase decryption key which stored into the remote server by the sending ransom money about $500 in the form of bit coins within 48 hrs. It also shows warning message, if you don’t pay ransom on the given time period then your all data and file will delete permanently from your System. Security researcher highly suggested, users should not pay demands ransom money to the hacker because there is no any proof that it will get back your all data and file just after received ransom money. There are highly possibilities that users might be lost their files and money as well. It is only a tricky way to makes lots of money by making fool innocent users. In this way it asks your personal and confidential information like as email-id, password, Bank account details etc for evil use. In order to retrieve all files from .french101 file virus or hacker users not need to pay demands ransom money. Most of the users complained about that it doesn’t get back all files after received ransom money. The only one way to recover all files is to remove .french101 file virus Completely from System. Just after that you can recover all files by using legitimate recovery Software. Etols Ransomware is a variant of popular Djvu ransomware family. Like its siblings and variants, it also encrypts the targeted files and makes it inaccessible for the users. If there are security loopholes in your work-station then it can easily become its soft target. It is usually distributed through spam email attachments and messages. After settling down, it immediately begins the data encrypting process. It adds .etols extension in every targeted file and shows the ransom note through named_readme.txt notepad file. It demands to pay $980 as ransom cost. As a strategy, the victims could decrease the ransom cost up to 50% by contacting the cyber-criminals within three days. The price of ransom money is very costly and there is no guarantee that you will get the original decryption key after paying the money. It is advised that you should remove Etols Ransomware from your PC immediately and try to recover the encrypted files using some third-party data recovery software. If you have the backup files then that will also be very helpful. The ransom note delivered by Etols Ransomware is very scary. This is a trick to force or manipulate the victims. They leave their email ID for the victims to contact with them. The provided email IDs are [email protected] and [email protected] As per their ransom note, they ask the victim to pay $980 or $940 to get the decryption key. However, they should not be trusted as there is no guarantee that you will receive the original decryption key after sending the money. You may get scammed because cyber-criminals don’t provide the original decryption key even after receiving the money. If you get sure that your personal files have been encrypted by Etols Ransomware, you should try to remove its related files and payloads of the malware. So, you should first scan the PC with a powerful anti-malware tool that has strong scanning algorithm and programming logics. Once the malware gets removed, you can check the data recovery methods such as backup data, recovery software etc. The quick removal of Etols Ransomware is very important. Otherwise you face irreparable damage and losses. This kind of malware is capable to exploit the security vulnerabilities and brings so many other perilous infections from backdoor. It can secretly trigger other harmful infection. They can destroy “Shadow Volume Copies” as well so that all the possible way of free data recovery is closed. There are multiple ways and tricks adopted by cyber-criminals to attack the PC with malware. The most common method is through spam email campaigns. The targeted victims start receiving tons of spam email that contains malware payloads with them. They are presented as PDF, RAR or Zip, or notepad file. When the attachment is opened, the harmful malware automatically gets downloaded. So, it is best to avoid opening any email attachments that are sent by unknown sender. Otherwise, open the attachment after scanning it with a powerful anti-malware tool. NamPoHyu Ransomware is new iteration of MegaLocker file encrypting malware. It makes targeted files and data unusable by encrypting it with a powerful encryption algorithm. It adds .NamPoHyu extension in every file that it encrypts. For example, it encrypts a MS Word file named as myfile.doc then its name will automatically get changed to myfiles.doc.NamPoHyu. It also stores a ransom note in a text file named as “! DECRYPT_INSTRUCTION.TXT”. This ransom note file is stored in every folder that contains the encrypted files. Our researches reveal that it uses AES cbc-128 cryptography algorithm to lock the targeted files. This powerful encryption algorithm can only be decoded through the decryption code. According to the ransom note, the victim has to pay $250 in Bitcoins to get this decryption key. It is important that the cyber-criminals provide the correct tool or decryption key. Sadly, they spam in most cases and don’t provide the original key even after receiving the money. The ransom note contains a website link that is to be visited by the cyber-criminals to get the decryption key. Paying the money cyber-criminals have less chance of positive outcome. They start ignoring the victims once they receive the money. It is very unfortunate that there is no other way to decrypt the files other than using decryption key. If you want to avoid the financial losses and damage to your System performance, you must remove NamPoHyu Ransomware by removing all its related scripts, payloads etc. from the PC. It will be best if you use data backup for restoring the encrypted files. If backup files are not available then you will have to rely on data recovery software. Most of the ransomware has same aim that is to encrypt the files and demands the victim to pay money. The basic difference lies in the ransom amount. In most cases, they cannot be decrypted unless the cyber-criminal helps you with the decryption key. Our researches reveal that if the ransomware is in its development phase or if there is any flaws or loopholes, they can be decrypted without cyber-criminal interference. The cyber-criminals uses spam campaigns and other illegal methods to circulate the payloads and scripts related to NamPoHyu Ransomware in the targeted PC. You may receive some email messages that has attachment containing malware payloads and scripts. This is presented as a PDF document, archives like RAR or Zip file, MS Office docs etc. When you open the attached file, the malware payload instantly gets downloaded. The other method of ransomware circulation includes bundling with freeware and shareware, peer-to-peer file sharing networks, unsafe hyperlinks clicks and so on. Hence it is very important to be careful all the time while using PC. It is advised to use a powerful anti-malware tool that has strong scanning algorithm and programming logics that can remove all the files and payloads related to NamPoHyu Ransomware from the PC. .browec File Virus is a vicious file encrypting virus that comes from Ransomware family. This nasty computer infection can assail your system and encrypt all kind of System files. It is able to invade all version Windows Based Operating System like as Windows XP, Windows7, Windows8, Windows8.1 an d the most recent version Windows 10. It is developed by the team of remote hacker with the main target to extort huge ransom money by phishing innocent users. It gets inside into the System without any users knowledge while users attach any spam mails, insert corrupted CD, Downloading Unwanted program, sharing files through junk removal devices, updating system Software, clicking on malicious links, visiting commercial site and other tricky ways. Once getting inside into your system then it will deeply scan entire hard disk to encrypt all kind of System files including Word, Excel, Power-point, images, Pictures, Audios, Videos, Games, apps and so on. It uses strong cryptographic algorithm AES and RSA as well as add “.browec” extension at the end of every files to makes them inaccessible. Therefor users wouldn’t access any files as earlier states. Whenever you will try to open even single file, then it demands ransom money by the sending ransom note in the form of html or text. This ransom note states that your all-important files have been encrypted by cryptographic algorithm or a unique code. To recover all files you must need to get decryption key which stored on the remote server places. You have to pay ransom money $500 as a bit coins within 48 hrs. Otherwise your all data will delete permanently from your system. Users are highly advice do not pay demanded money to .browec File Virus or hacker. Because there is no any proof it will get back your all data and file just after received ransom money. There are highly chance you can lost your files and money as well. In this way, it may ask your personal and confidential information including bank and credit card details. In order to retrieve all crucial files, you have to firstly remove .browec File Virus without any delay from PC. But it is not easy to eliminate with normal antivirus program. Here is given below easy removal steps that help you to delete this nasty virus easily and completely from your system. Just after that you can easily recover all files by the using backup file or legitimate recovery Software.